“We want to build global recognition of Reserved as a brand and LPP as a company,” Marek Piechocki, president of the LPP management board said after opening a flagship store on London’s Oxford Street in September 2017. By and large, LPP is well on the way to achieving just that. LPP, which owns a number of fashion brands: Reserved, Cropp, House, Mohito and Sinsay, is Poland’s answer to Inditex group and H&M and has been operating since 1991. The Reserved brand was launched in 1998. LPP as a company currently has over 1,700 stores in 20 countries and across three continents. In the first quarter of 2018 LPP increased sales revenue by 16 per cent compared to the same period of 2017, and in July it was announced that the company would invest 400 million zloty in a new distribution centre in the Polish town of Brześć Kujawski. “The investment in Brześć Kujawski is a part of the LPP’s development strategy for the coming years,” says Jacek Kujawa, LPP’s vice-president of logistics and IT. “Development of our network in Poland and abroad, and significant increases in online sales are challenges that require technologically advanced logistics facilities. We’ve chosen Brześć Kujawski due to its location in central Poland, great communication with the main transport axis and the potential for the job market. The positive attitude of the local government to our investment was also important” he adds. The opening of Reserved’s flagship store on London’s Oxford Street was opened was a huge venture for LP, which invested almost 20 million zloty in the project. It was also a very Polish venture: the store was entirely designed and made by the same Polish companies with whom LPP has been cooperating for years. The shop uses modern technologies, including LED diodes enabling them to adjust store lighting to the time of day, and screens allowing marketing communication and information systems managing traffic in fitting rooms. 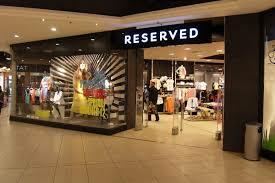 At the same time as the opening of the store, Reserved also launched online sales on the British market. In addition, Kate Moss became the face of Reserved. As part of the opening in London, Reverved designed a special collection of clothes and accessories inspired by Polish culture. While a number of brands, including H&M, have been dialling back their investments and presence in some markets, Reserved appears set to continue going full steam ahead, and continues to expand. LPP will be opening additional branches in Israel, Slovenia, and Kazakhstan before the end of 2018. “Then, in 2019, we want to debut in Finland and Bosnia,” Ms Wszeborowska adds. LPP is also reportedly looking for a store location in Paris.